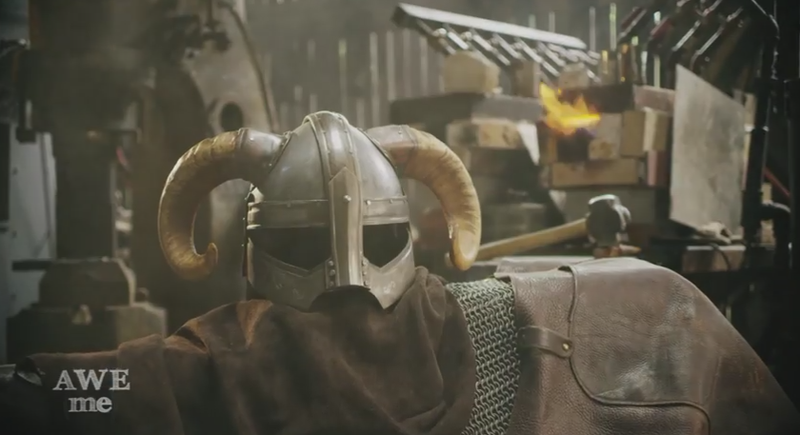 This Skyrim helmet isn't just for show. It's tough! It could probably actually save your life, should you ever be in everyday situations like "someone is swinging an actual sword at my head," or "someone is shooting actual arrows at my head." Unfortunately I sincerely doubt that AWE me's version of the iconic Skyrim helmet could save you from fire, or even a Fus Ro Dah. Still, it's a joy to watch master blacksmiths make such sturdy gear.